Accident will occur no matter what or where we are and the workplace is not an exception. Employers strive to provide a safe working environment. Being aware of the possible hazards can help employees avoid injuries. 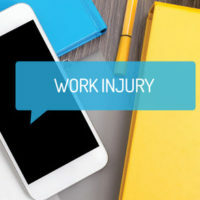 Taking the time to learn about common workplace accidents is beneficial for both employers and employees. Unfortunately, injuries at work cannot be completely avoided. If you are the victim of a workplace injury, you are entitled to benefits to help with costs such as your loss of income and medical bills. Our accomplished Maryland workers’ compensation lawyers can assist you with filing your workers’ compensation claim. We will evaluate your claim and help you determine the best plan so you can receive your rightful legal benefits. Repetitive strain injury is seen when a person conducts the same type of motion over time that leads to injury. A common activity that can cause long-term damage is computer usage. Spending hours typing and looking at a computer screen can lead to muscle strain, vision impairment, and carpal tunnel syndrome. Working with insurance companies to receive compensation for your injury can be a frustrating and intense process. Insurance companies are concerned with their bottom line and not your injury. To avoid this unfair treatment, contact an attorney to advocate on your behalf. The Law Offices of Steinhardt, Siskind and Lieberman, LLC are here to fight for your benefits. Contact our skilled Glen Burnie workers’ compensation attorneys for a free consultation today. We can help you get your benefits as soon as possible so you do not have to suffer further from your injury. You will not be charged any attorney fees or expenses unless your case is successful. Maryland law affords you compensation for your workplace accident. We make sure you get the full coverage the law provides you.